Emissions monitoring and reporting means ECA’s, EPA VGP, EU MRV’s, IMO-DCS, RO’s, SEEMP – and you. Fear not: the daunting acronyms can all be managed by employing the right technology. In the past decade, shipowners have faced a raft of new regulations aimed at reducing the pollution from their ships, whether in new environmentally sensitive emissions control areas (ECA) or on the open seas that serve as the primary conduit for 90% of global trade. Limits on sulphur emissions within ECAs such as the Baltic and North seas have been in effect since 2005, and this year the European Union began mandatory monitoring, reporting and verification (MRV) of CO2 emissions for all ships over 5,000 GT calling at ports in Europe, including Norway and Iceland. All of these initiatives have increased to varying degrees the fuel-management challenges and operational costs for shipowners. But perhaps the most ambitious emissions-reduction campaign – at least in scale – will begin with monitoring activities in six short months (January 1, 2019) with the global rollout of the IMO’s Data Collection System (IMO-DCS). Like the EU MRV, adherence to the IMO regulation is mandatory and is targeted at ships above 5,000GT. Unlike the EU’s regional initiative, the IMO DCS is a global regulation. Each scheme imposes different monitoring, reporting and verification requirements. For example, the data from the EU plan’s needs to be reported annually to the European Commission (with reports verified by recognized organizations [RO], such as ABS); while the IMO requires their reports to be submitted to the ships’ administration or the RO, who then submits them to the IMO database. Beginning January 1, the IMO-DCS will require ship-owners to present a documented plan to monitor CO2 emissions; they also will need to update their Ship Energy Efficiency Management Plan (SEEMP), an IMO-driven operational mechanism to improve a ship’s energy efficiency, to document how they intend to collect and process the data collected, including for fuel consumption, hours underway and distance traveled. A summary of the differences between the EU and IMO schemes can be seen in the table that accompanies this text. 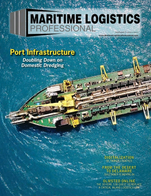 It should come as no surprise that maritime emissions-reduction and other environmental initiatives are increasing the demand for new tools and resources that help crews to accurately collect, collate and report data in a way that adds as little as possible to daily business activities. If shipowners lack an efficient data-management system for regulatory reporting, their crews will have to populate and maintain multiple spreadsheets for the IMO DCS, EU MRV, ECAs, voyage management, etc, adding to their already considerable workloads. And, no one wants that. They require an easy-to-use tool that supports the collection and integration of all the required information as a part of day-to-day activities. One such tool is ABS Nautical Solutions’ (NS) Voyage Manager software. NS Voyage Manager is a cloud-based, subscription application that supports daily activities and compliance with a range of environmental regulations, including those governing ECAs, the EU MRV and IMO-DCS. The software integrates the data collected for noon reports – and in tandem with the optional NS AutoLogger, a secure, marine-grade appliance in the NS database – automates and simplifies the compliance-reporting process. (NS AutoLogger captures data directly from sensors and ship systems to improve data accuracy). NS Voyage Manager also captures Bunker Delivery Notes (required for MRV compliance) and supports other environmental compliance activities, including Ballast Water Exchange, Fuel Switching (for ECA compliance), Garbage and Oil record books (for MARPOL reporting), and Vessel General Permit (for US EPA reporting). Any data captured can be expanded to support other operational activities, including performance management. It also can be integrated with other NS software products to support non-fuel-related activities: integration with the NS Vessel Performance system module supports operational cost savings with benchmarking and analysis of vessel-performance data; integration with the NS Maintenance Manager can help to inform equipment, spaces and maintenance plans; integration with the NS Hull Manager for can help monitor structural conditions; and integration with the NS Crew Manager can gives operators a extensive view of voyage history and vessel status. NS Voyage Manager has unique templates designed to capture key data for each event and their noon reports. Each template is configured to match the way customers use the software, which includes the minimum amount of information on fuel consumption that is needed for EU MRV and IMO DCS declarations. The crew uses the templates to fill out normal voyage-reporting events that they record as standard daily activities and, in doing so, capture the data that is necessary for MRV and IMO DCS reporting. Mandatory emissions monitoring for the EU MRV has been in place since the beginning of this year (January 1, 2018), so many ships trading globally already have a plan in place to comply with the European regulation. Rather than require owners to reinvent the wheel for each regulation, ABS offers an easy-to-use template to help them to fill in the gaps between EU MRV and IMO DCS compliance. For those without an existing EU MRV plan, ABS offers a simple template to support a compliant SEEMP, as required by the IMO-DCS. Once it has been updated, ABS can assess the SEEMP to include the methodology and the processes to collect and report the data and issue a Confirmation of Compliance (CoC). A schematic that illustrates the process through which ABS – using NS software and the authority of a Recognized Organization – can support ship-owner compliance with the emerging IMO-DCS regulation accompanies this article. NS Voyage Manager works irrespective of what RO the ship-owner chooses to use. The IMO-DCS regulations require the data to be aggregated into annual values at the end of each year and reported by the company to the ship’s Flag Administration or RO for verification and transmission to a central database managed by the IMO. After the data has been submitted and verified, a Statement of Compliance is issued. The IMO recently set a goal of reducing the emissions from shipping by 50% by 2050. Measuring the industry’s consumption of the different fuels it uses and output of greenhouse gases will provide the information it needs to inform an effective global strategy. Measurement and verification of that data is a complex process that places additional responsibilities on already busy crews. NS Voyage Manager can help to manage the process efficiently. John Hathaway is Director of Product Management for ABS Nautical Systems, with overall responsibility for the entire NS Fleet Management Suite. Since joining ABS in 2007, Hathaway has held various roles of increasing responsibility within Nautical Systems. With extensive experience in Corporate IT within the marine and offshore industries, his experience includes Product Management, Executive IT Management, Project Management, Quality System Implementation and both Corporate and Commercial Software Development. Hathaway received his bachelor’s degree in Computer Science from The Ohio State University and a Master’s in Business Administration from the Weatherhead School of Management, Case Western Reserve University.